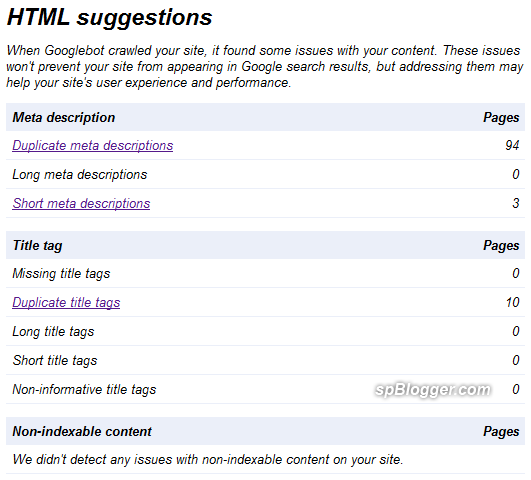 Fix HTML ~ meta description, title tag and non-indexable content issues on Google Webmaster Tools. Yes, I have been ignoring these issues before Google Panda Update. And they are getting more and more. Why do we need to fix them? Google states, “addressing them may help your site’s user experience and performance“. Who know it might improve our site search ranking on Google. So no harm to solve those issues, right? Next articleHow to create useful custom 404 page?